Flexie CRM email integration works perfectly with any email provider if you just input your provider correct settings. However some providers have some sort of restrictions that make it difficult for the user to configure their email account in another email client. Such restriction we encounter even in Gmail. This is why we are going to show you Gmail specific settings for successfully integrating in Flexie CRM mailbox. What you have to setup in Flexie CRM part is explained in details in Email IMAP full integration, so we are going to skip that part. 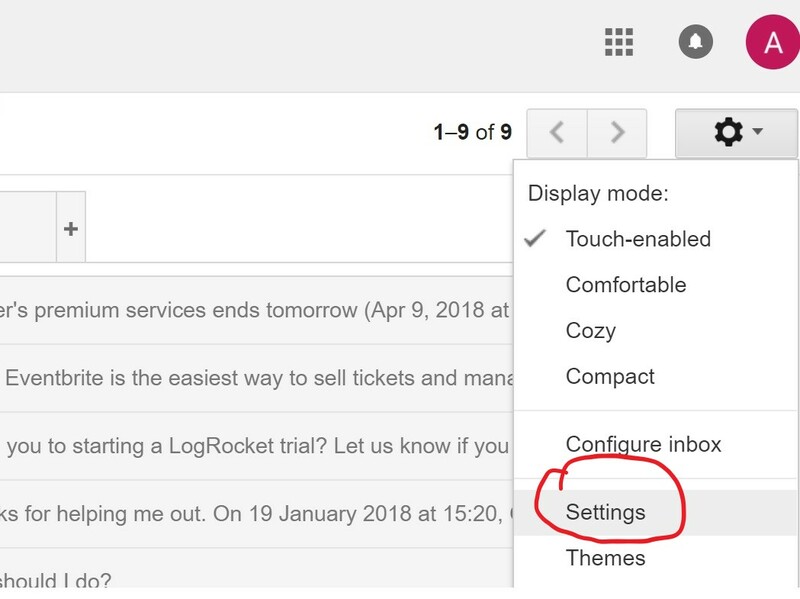 We are going to cover what you as a Gmail user, need to set in your Gmail settings, in order to give your account the ability to integrate in other email clients. In your browser, you sign in to your Google / Gmail account and go to Settings. 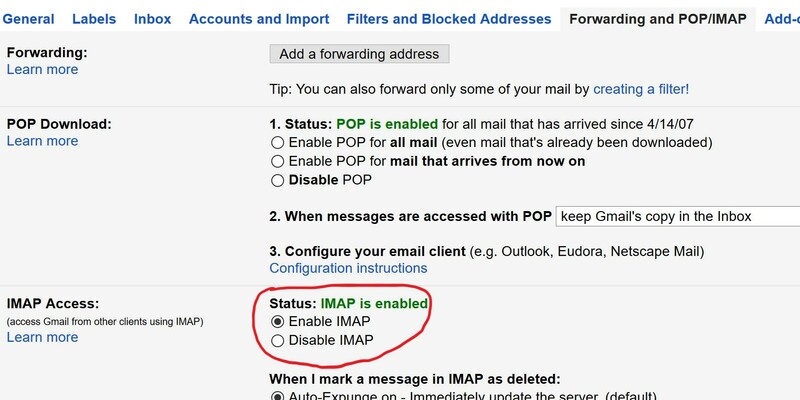 Click the tab Forwarding and POP/IMAP and in the IMAP Access section, ensure that Enable IMAP is selected. Make sure after you select Enable IMAP to click the button Save Changes at the bottom of the settings. In your browser, you sign in to your Google / Gmail account and click on your profile picture in the upper-right, then click the My Account button. Click Sign-in & Security section like in the picture below. 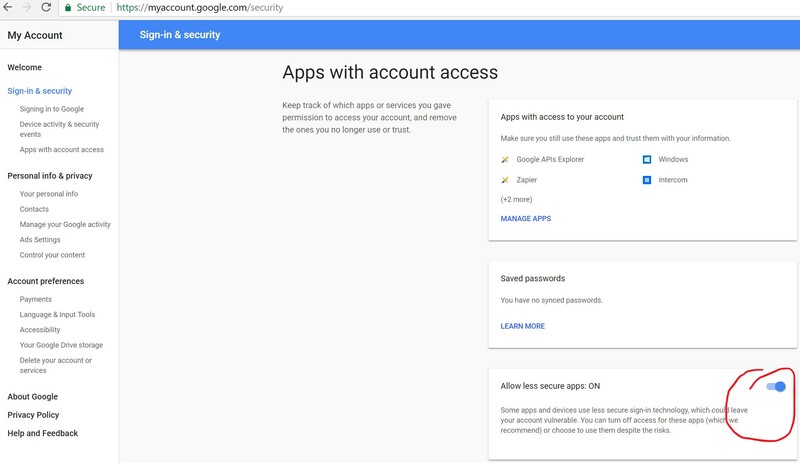 At the bottom of the page Sign-in & Security you have a section Apps with account access. Turn ON setting Allow less secure apps. As stated in Gmail Help : To avoid locking yourself out of your account, make sure you don’t exceed 2500 MB per day for IMAP downloads and 500 MB per day for IMAP uploads. If you’re setting up a single IMAP account on multiple computers, try taking a break between each setup. To stay updated with the latest features, news and how-to articles and videos, please join our group on Facebook, Flexie CRM Academy and subscribe to our YouTube channel Flexie CRM .